Little Boys' Olaf Footed Sleeper Just $10.80! Down From $25! You are here: Home / Great Deals / Little Boys’ Olaf Footed Sleeper Just $10.80! Down From $25! Little Boys’ Olaf Footed Sleeper Just $10.80! Down From $25! Sears has this Little Boys’ Olaf Footed Sleeper on sale for $10.80 (Reg. $25)! Disney’s Frozen is the breakout title that captured the country’s heart. 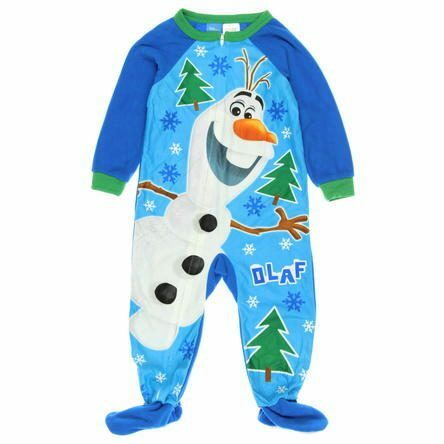 You and your child will love this cute Olaf one piece footed pajamas. They will be kept warm during those cold winter nights.